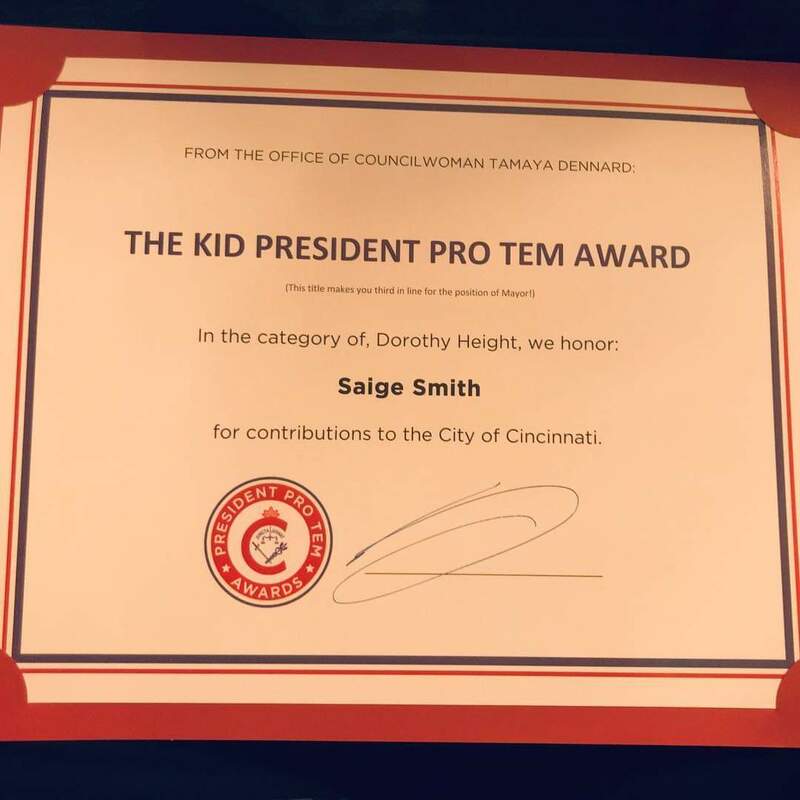 Congratulations to Saint Ursula Academy junior Saige Smith! 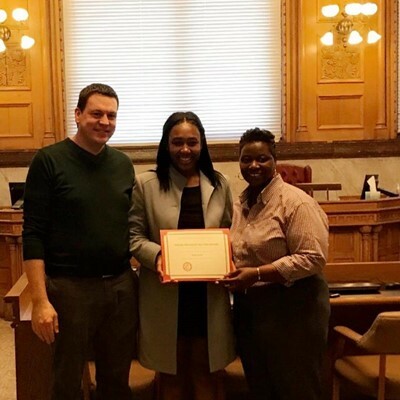 She won Councilwoman Tamaya Dennard‘s Kid President Pro Tem Award for her work with Youth at the Center and in the community. Youth at the Center is an organization whose mission is to advance opportunities for youth to be seen, heard and valued as the next generation of leaders in our community. A major thank you to her nominators and nonstop@supporters in her leadership, Shawn Jeffers and Tynisha Worthy!